Travelling is considered to be a source of recreation for some while for others it is part of the official or business routine. Those who travel once in a while may not undergo any frequent mishaps during traveling but those who travel in a frequent manner might face some serious complaints and grievances against their travel plans and experiences. This is where the travel claim form becomes important. What is Travel Claim Form? A written document or formal request to register a claim that might have surfaced during a traveling experience is called a travel claim form. 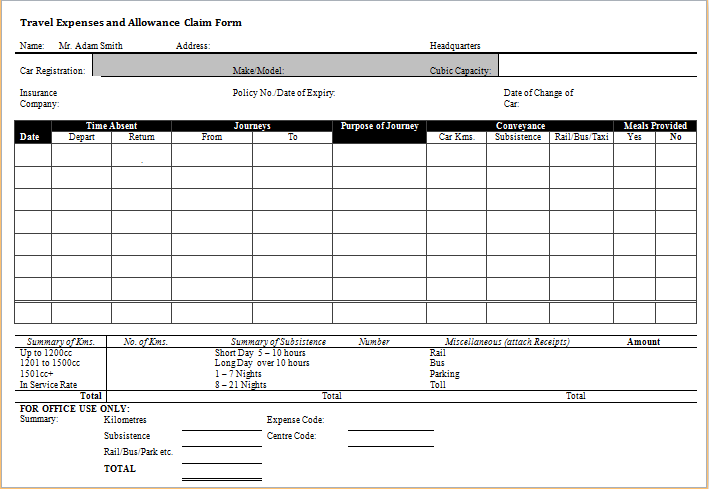 This form may be required for requesting different types of claims. These may be about the expenses of the traveling or about insurance claim due to some mishap during the travel experience. The travel claim form is also provided by many organizations to their employees for claiming their travel tickets or expenses that are entitled to them. The form can be requested from the office of the particular organization or an insurance company. Any document or supporting evidence needed to prove your traveling experience to the designated authority. Hence a travel claim form is a very useful document for all employees who want to travel.